Charlie Wilmoth gushes about his favorite records of the year. 2004 was my third year with Dusted. During the first two, I was still involved with college radio, so I was able to hear virtually any new release I wanted to, and in my college radio heyday I probably heard between 1,000 and 1,500 new albums in a year. This year I wasn�t involved in radio, and I still didn�t download very much because of my slow computer, so the number of albums I heard was limited to those I bought or got from Dusted or heard from my friends or in classes or in libraries. In a way, this is a much better way of listening to music. Even though I still write about music, I no longer feel like a tastemaker. I feel free to dig into the little pockets of the musical world that interest me most. Sometimes weeks pass between the time when I hear about an interesting record and the time I actually hear it, which makes the listening process seem a little less cheap. As I�ve said before, year-end lists that presume to tell you, the reader, about what music was the �best� are stupid. Even if it were possible to hear every record, enjoying music is a personal activity. I therefore present this list not as a list of the year�s best music, but of music I happened to hear and liked the most. One of the things I like about Dusted is that it tries to acknowledge that taste is subjective and it discourages its writers from writing as if their opinions represent ends of discussions rather than beginnings. It is in that spirit that I advance this list, and nothing would make me happier than if you posted something on our discussion board or you sent me an e-mail and said, �Hey Charlie, if you liked the Jack Wright record you�d really be into this other record,� or, better yet, started a blog or something and started posting your own opinions there. Anyway, if I don�t hear from you, have a nice 2005. Say what you want about the Bay Area hip-hop collective Anticon, but its most nasally-voiced MC, Doseone, is a major talent. Ten is much more professional sounding than Clouddead�s seminal self-titled debut, but no less woozy and weird. But Dose is most potent on the lesser-known A New White. He takes advantage of the flexibility provided by Subtle�s rock-band instrumentation as he rhymes in odd time signatures and, on one occasion, gets stuck in an unexpected groove that sounds like a skipping CD. Doseone�s inimitable stuttering rhymes sound great in both contexts. 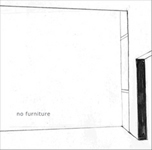 These are two great rock records masterminded by two guys (Jamie Stewart and John Congleton, respectively) who sound like their bands are the only reasons they don�t need to be institutionalized. Fabulous Muscles features Stewart�s catchiest songs to date; he pares back the layers of noise and percussion from his previous two full-lengths, but it�s hard to be too normal with lyrics like �Dad, what was Nigel supposed to do with your body?� God Bless Your Black Heart, meanwhile, features the best and most meticulous production of any rock album I heard this year; the Paper Chase have a crushing, Shellac-style rhythm section, but they also load their songs with samples, strings and other little bits that linger in the margins of the songs, revealing themselves on repeated listenings. Congleton screams his anguished lyrics like he�s on the verge of either crying or throwing up. Of all the terrific post-minimalist pieces I heard that Cold Blue released this year, The City the Wind Swept Away is the simplest and the best. It�s so simple, in fact, that it almost seems awkward at first: the pianist just plays slow arpeggios the entire time, and strings and trombones play long chords in unison. But its beauty reveals itself quickly after that. Fox and a few other composers � most notably John Luther Adams � seem to be chiseling away unnecessary characteristics of their music in an effort to locate its core. For that, their music often seems so much lovelier to me than most of the more famous works of minimalism that preceded them. This was the best-crafted record I heard this year from that vaguely defined genre often called non-idiomatic improv. Clarinetist Fagaschinski is fantastic here; he blends in effortlessly with D�rner and Baltschun�s electronics, and Fagaschinski sounds like he�s listened to lots of different electronic sounds repeatedly and really studied them. His playing is careful and austere. The electronics, in contrast, are quite playful. Tatsuya Nakatani is a New York-based percussionist who�s probably best known for his collaborations with Peter Kowald and nmperign. On From Between, Nakatani is joined by saxophonists Jack Wright and Michel Doneda for a set of free improv that shapes the long tones and squeaks of the aforementioned non-idiomatic improv into structures that are tense and dramatic. On Green Report, Nakatani�s playing seems almost calm, and his playing is captured in full textural detail. The sleeve notes credit him with only solo percussion, but there must be something else going on, because a number of the tracks feature drones so lush they must have been overdubbed or augmented by electronics. Or maybe not. This one sticks out on this list because it�s the only one you can find on an endcap at Tower. Also, there�s nothing particularly weird about it; in fact, it doesn�t even sound particularly interesting when described in objective terms (indie rock, Modest Mouse, the Smiths, U2, and so on). These songs are very moving, but again, not because of reasons that are very interesting when they�re spelled out (they�re very well crafted, Win Butler�s voice is charming when he reaches for notes that are just out of his range, and so on). So I won�t even try to describe it objectively � I�ll just say that it�s the sort of record that you�ll listen to in a few years and connect with important events in your life that happened in 2004. Berry�s first full-length, The Golden Boat, was released in 2003 by Bernard G�nter�s Trente Oiseaux label, and Berry is similar to G�nter in his use of space and his determination to not allow his music to force itself on its audience. But Berry�s music is very much his own. Berry�s sense of pacing is extraordinary and, as a friend of mine remarked (I made all my friends listen to The Golden Boat), makes his music seem like improv even though it�s completely pre-planned. The sounds Berry uses, which come from acoustic and electronic sources, are lush and extremely well chosen. Something else: One of the nicest experiences I had this year was taking a course in outsider music. �Outsider music� is tricky to define, but to generalize, it�s strange music that�s made by people who somehow stand apart from musical communities and who also often lack self-consciousness about what they�re doing. Sometimes it�s terrible, but sometimes it�s revelatory, particularly when it�s made by people like the Shaggs, who obviously worked very hard on their music but didn�t realize what they were doing didn�t sound normal. We studied the mysterious Jandek in class, and 2004 was a big year for him, relatively speaking. A new film, Jandek on Corwood was made about him, and he released a new album, Shadow of Leaves (Corwood), that�s just as weird, emotionally elusive, and seemingly unmusical as anything else he�s released. He also performed in public for the first time in Scotland in October. Jandek albums are like dispatches from another planet � nothing on them makes conventional musical sense and his motivations are never clear. Another artist we studied briefly in class was Bobby Brown - not the �My Perogative� guy, but a �70s musician who doesn�t seem to be an outsider so much as he�s just an extremely talented and obscure artist who made at least one fantastic album. The one I�m thinking of is The Enlightening Beam of Ax Onda (Akarma), which was recorded in 1972 and reissued this year. I try not to mention reissues in year-end lists anymore because I�d rather my lists be about what�s going on in music rather than the whims of the music industry, but I can�t help myself, and really, you�ve got to hear this. Brown was something like the hippie movement�s Harry Partch � he plays about 50 of his own mutant instruments on this record. He also has a gorgeous voice and an absurd six-octave range. He recorded this album himself with terrific sound and overdubs galore. Now that I�m writing about him, he sounds like some kind of urban legend, but he�s apparently for real, sounding like a West Coast hippie jamming with a group of performers of some type of Oceanic music you�ve never heard before. Wow.